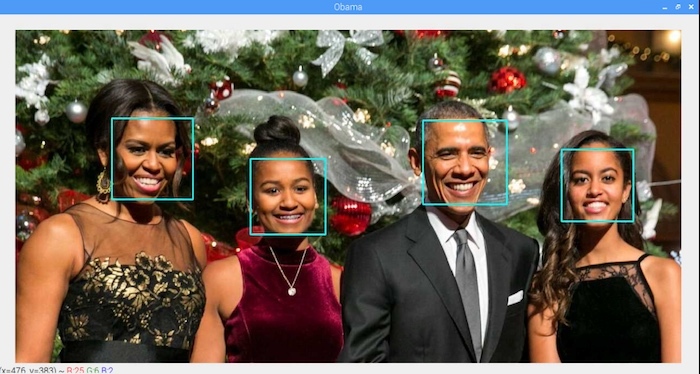 Learn how you can use the open-source library OpenCV with a Raspberry Pi to create face and object detection! OpenCV (open source computer vision library) is a very useful library — it provides many useful features such as text recognition, face recognition, object detection, the creation of depth maps, and machine learning. 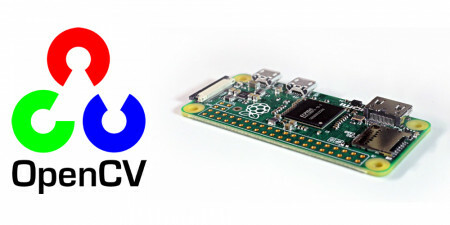 This article will show you how to install OpenCV and other libraries on Raspberry Pi that will come in handy when doing object detection and other projects. From there, we will learn how to perform image and video operations by executing an object recognition and machine learning project. Specifically, we will write a simple code to detect faces in an image. OpenCV is an open source computer vision and machine learning software library. OpenCV is released under a BSD license making it free for both academic and commercial use. It has C++, Python, and Java interfaces and supports Windows, Linux, Mac OS, iOS, and Android. OpenCV was designed for computational efficiency and a strong focus on real-time applications. To install OpenCV, we need to have Python installed. Since Raspberry Pis are preloaded with Python, we can install OpenCV directly. Type the commands below to make sure your Raspberry Pi is up to date and to update the installed packages on your Raspberry Pi to the latest versions. Type the following commands in the terminal to install the required packages for OpenCV on your Raspberry Pi. Type the following command to install OpenCV 3 for Python 3 on your Raspberry Pi, pip3 tells us that OpenCV will get installed for Python 3. After those steps, OpenCV should be installed. Let's test our work! If no errors are shown, your installation was successful! This message tells you which version on OpenCV you installed on your Raspberry Pi. There are also other libraries to install that will come in handy when you do object detection and other projects, so I highly recommend you also install these. Now we are done installing OpenCV and helpful accompanying libraries on Raspberry Pi. Let's move forward to object detection and machine learning using OpenCV on Raspberry Pi. Let's start by writing the code that will detect faces in the images it receives. For face detection, you need a cascade file. Save this file in the working directory as "haarcascade_frontalface_default.xml". Enter the path of the image you want to detect faces in into the code below and run the code. After running the code, it will draw rectangles around the faces as shown in the picture below. After running the code, rectangles will appear around all detected faces.